After working overnight to deliver the results of test samples in a very quick turnaround, the Oklahoma Animal Disease Diagnostics Lab in Stillwater confirmed Thursday morning the presence of PEDv at the Oklahoma Youth Expo happening this week at the Oklahoma State Fairgrounds. PEDv is a highly-infectious swine disease that is particularly harmful on young animals of 30lbs or less with a nearly 100 percent mortality rate. PEDv is not a human health risk and has no effect on food designated for human consumption. PEDv is thought to have been present at the Oklahoma State Fairgrounds for a few days now undetected and most all swine animals that have been there is recent days has potentially been exposed to the disease. Radio Oklahoma Ag Network Farm Director Ron Hays caught up with RoyLee Lindsey, executive director of the Oklahoma Pork Council, for the latest information on this developing situation. You can listen to their complete conversation by clicking or tapping the LISTEN BAR below. Anyone that has been to OYE should assume they have been exposed to the disease and could potentially be carrying it on their clothing, vehicle, equipment or livestock. Lindsey is warning everyone to practice extreme caution as they travel back home to limit the spread of this disease. The Oklahoma Pork Council released the following statement with more information about the proper precautions to take to manage your risk at home and around susceptible livestock. 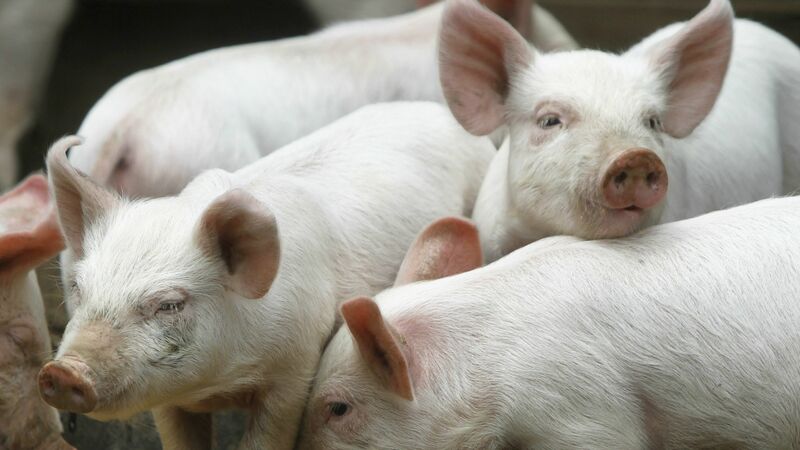 The disease causes a transient illness in feeder pigs and mature swine. In baby pigs it can cause up to 100 percent mortality. It is very contagious and can be transmitted easily on fomites. All attendees at the 2019 Night of Stars and the gilt and/or barrow shows specifically, and the Oklahoma Youth Expo in general, are urged to use the strictest biosecurity possible upon your return to your farms. -	If you are taking animals from OYE home to your farm, isolate those animals until you can confirm they have not been exposed or are contagious. This is a highly infectious disease where a very small amount of virus can cause an infection in pigs. -	Do NOT wear the same clothes, shoes, caps, jackets, etc. you wore at OYE once your arrive home. Clean and disinfect your shoes, clothes, and outerwear as soon as possible. -	Clean and disinfect your trailer and any tack or equipment you had at OYE. It is best if you clean and disinfect at a location NOT on your farm. -	Dispose of any unused feed that was in the barns at OYE. It is possible for virus particles to survive on feedstuffs for some time. -	Monitor all your animals daily for illness. If you see any signs of illness alert your veterinarian immediately. -	If your pigs do get ill, it is very important to manage your biosecurity off the farm as well. If you have sick pigs at home, do not go visit other farms. Shower and put on clean clothes and shoes before leaving your farm. A more complete biosecurity resource for show pigs can be found here. Listen to okPORK's RoyLee Lindsey advise producers on the proper precautions to take with PEDv.